It’s been a big year for pumpkins. Friends and neighbours have all enjoyed a bumper harvest, and we’ve been gifted many of these versatile vegetables. 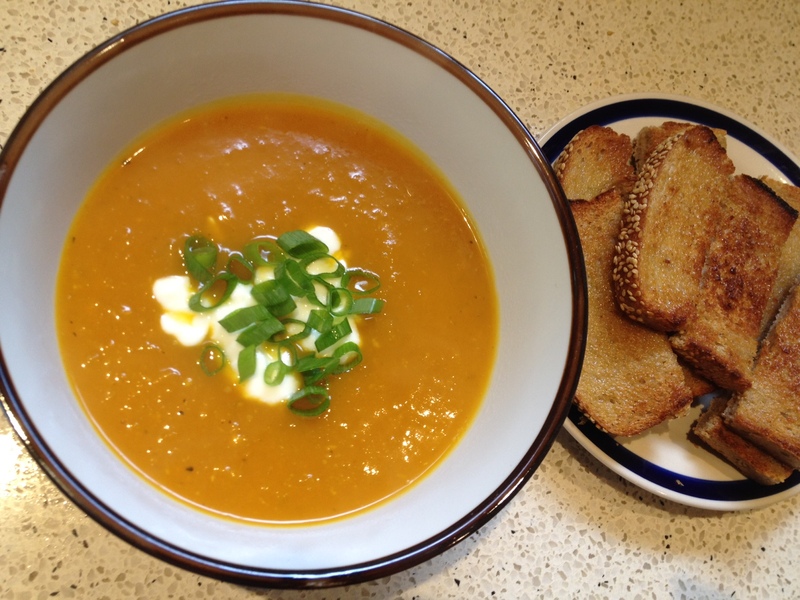 This yummy pumpkin soup recipe is my go-to when I’m tired and don’t feel like cooking. It’s quick to make, filling and delicious. The Thai flavours give it a lovely lift, and it freezes and reheats very well too. 8 cups of diced raw pumpkin – seeded and peeled; 1 x large onion – chopped; 2 x tablespoons of ready-made Thai Red Curry Paste; 1 tablespoon of coconut oil, butter or ghee; 1 x 270ml can of coconut cream – I really like the flavour of the Ayam brand, plus it is completely free of sugar, preservatives etc; 1 to 2 cups of good chicken stock or vegetable stock if you’re vegan (or use your favourite stock cubes/powder and water); 1 large kaffir lime leaf (this is optional and there is no substitute, but it imparts a heavenly flavour); 1 x fresh lime; 1 to 2 teaspoons of fish sauce – the fish sauce doesn’t make the soup taste ‘fishy’ at all, and gives a salty complex flavour (if you don’t have fish sauce or are vegan use a grind or two of salt instead ); fresh coriander (cilantro) chopped; fresh red chilli – deseeded and chopped; coconut or natural yoghurt. 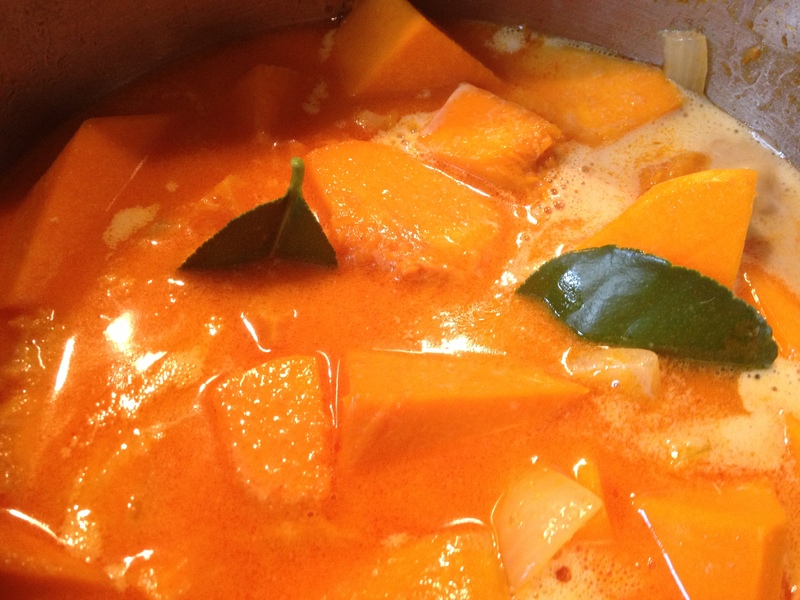 Place the chopped onion, pumpkin, oil and curry paste in a large saucepan. 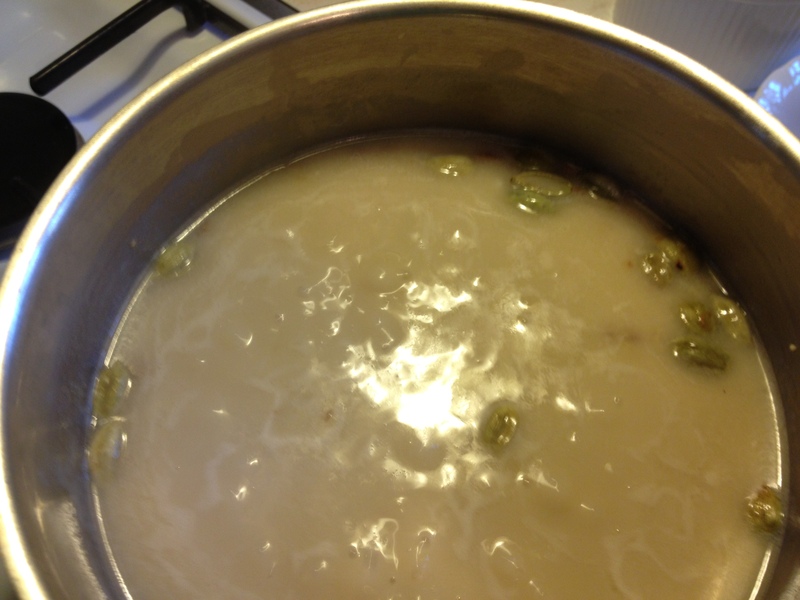 Stir over medium heat until fragrant – about 2 minutes. Spoon in the can of coconut cream and enough chicken stock to cover the pumpkin. Pop in your kaffir lime leaf and bring to the boil then reduce heat and simmer for ten minutes or until the pumpkin is soft. Remove kaffir lime leaf and discard. 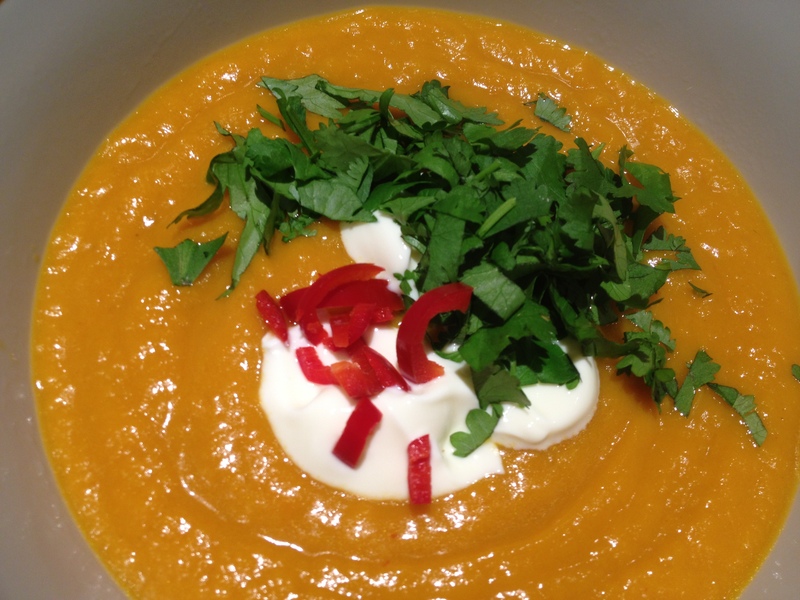 Cool soup slightly and then puree using a stick blender or food processor. If you don’t own one, then mash the pumpkin well with a potato masher – the soup will just be a little more textured from the pieces of onion. Return to pot and reheat, adding in your fish sauce (or salt) to taste. If the soup is too thick, thin with a little more stock. 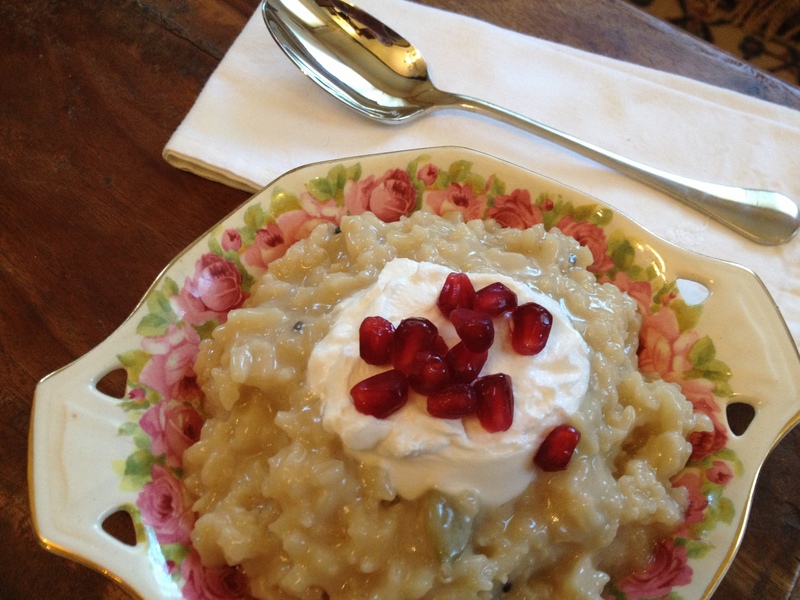 To serve, ladle into bowls. 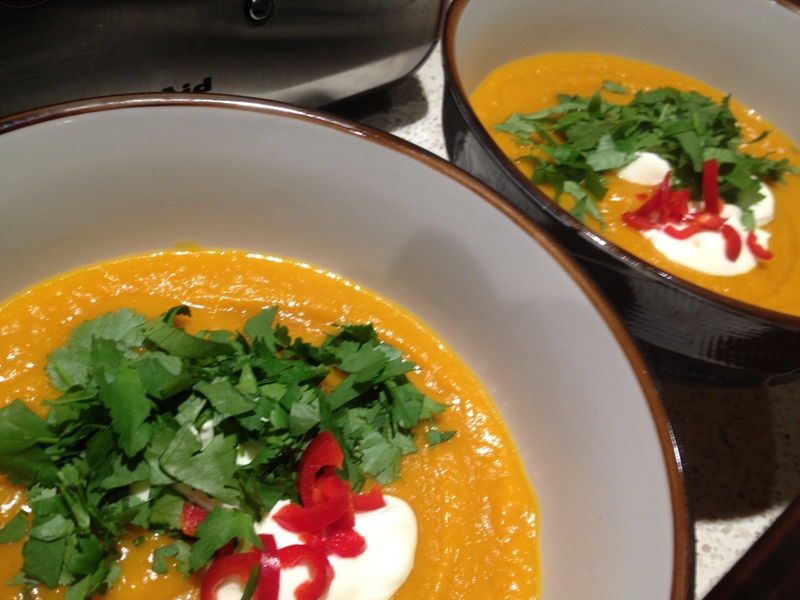 Spoon a generous dollop of coconut or natural yoghurt on top, and sprinkle with some coriander and chilli. 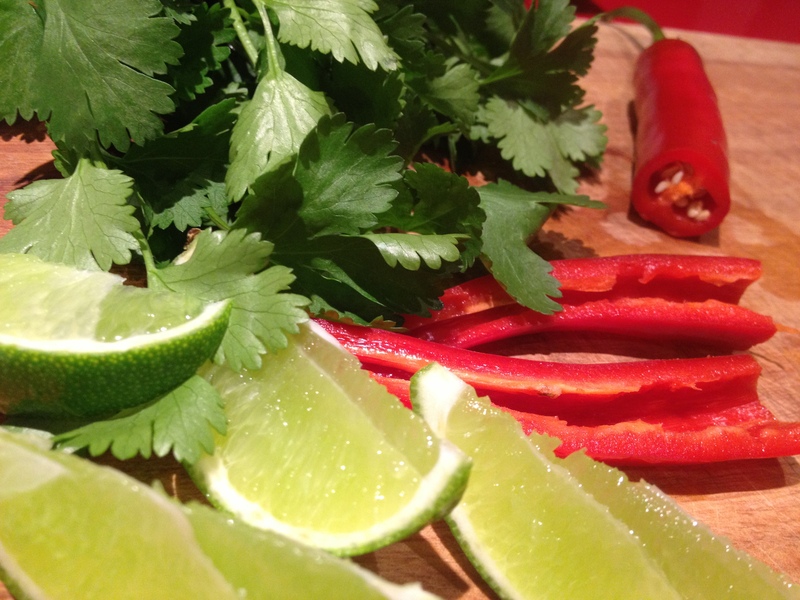 Lastly, give the soup a good squeeze of fresh lime juice. Serve on its own, or with a good bread. We usually eat this with lashings of hot buttered sourdough toast. 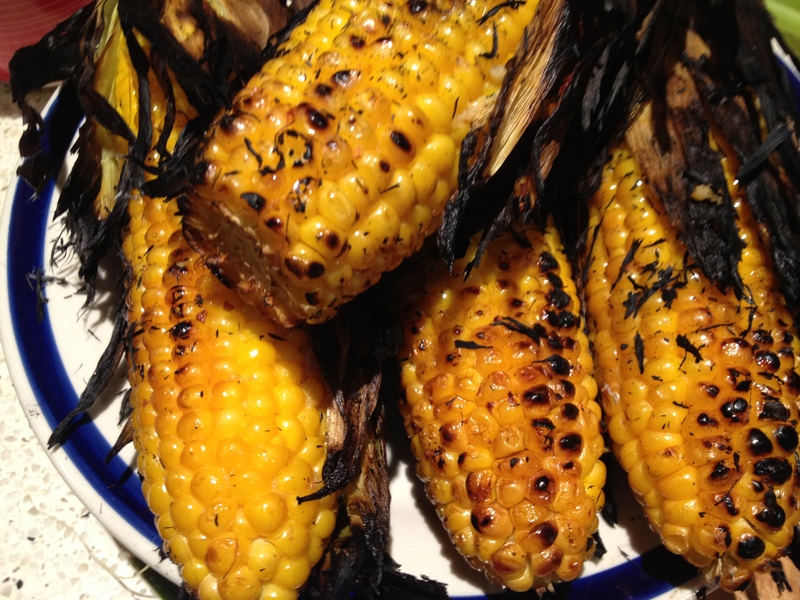 Cooking your corn on the barbecue is a tasty way to serve it – as a meal on its own, or as a side. 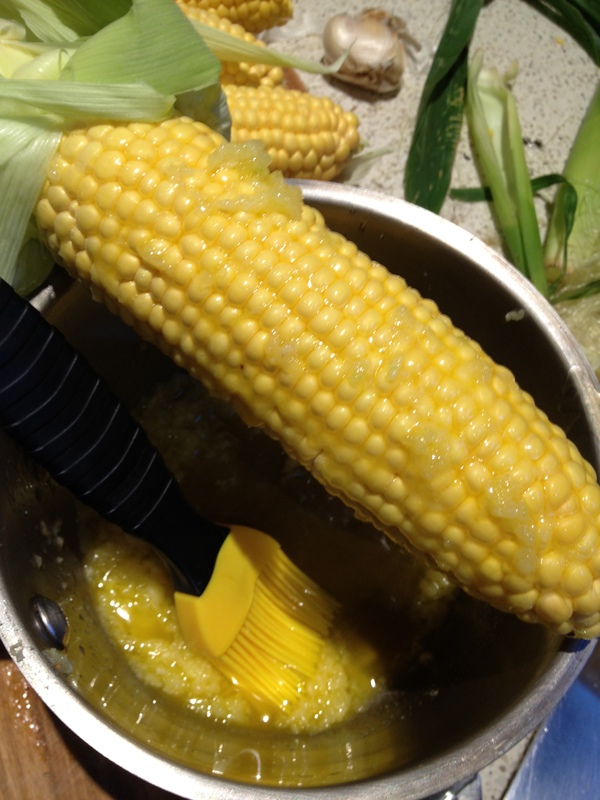 If your corn isn’t fresh picked you may want to soak the whole cob in cold water for an hour or so to stop the husks burning, but if the husks are still moist and tender then omit this step. Our corn is straight from the garden, so I’m not bothering. 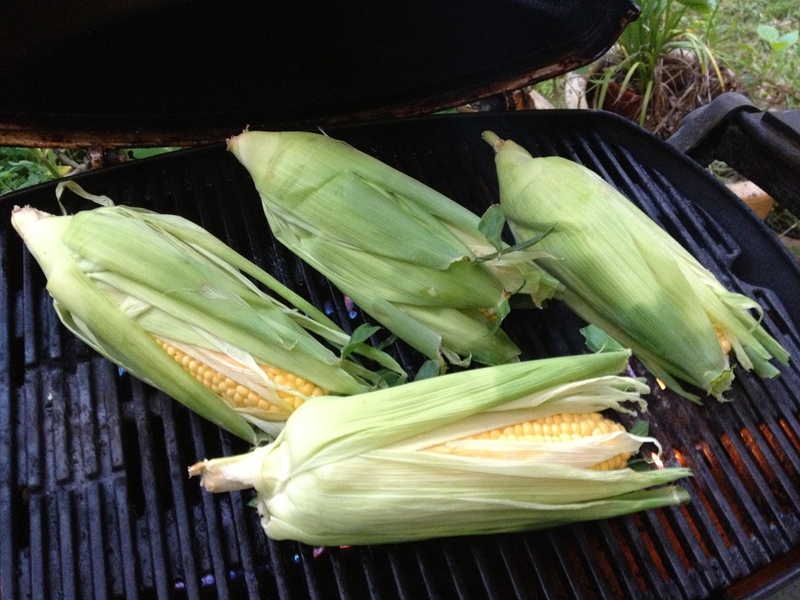 4 x fresh ears of corn in the husk, 4 x fat cloves of garlic, 2 x tablespoons of butter. If you’re eating dairy-free or are a vegan, substitute olive oil for the butter. 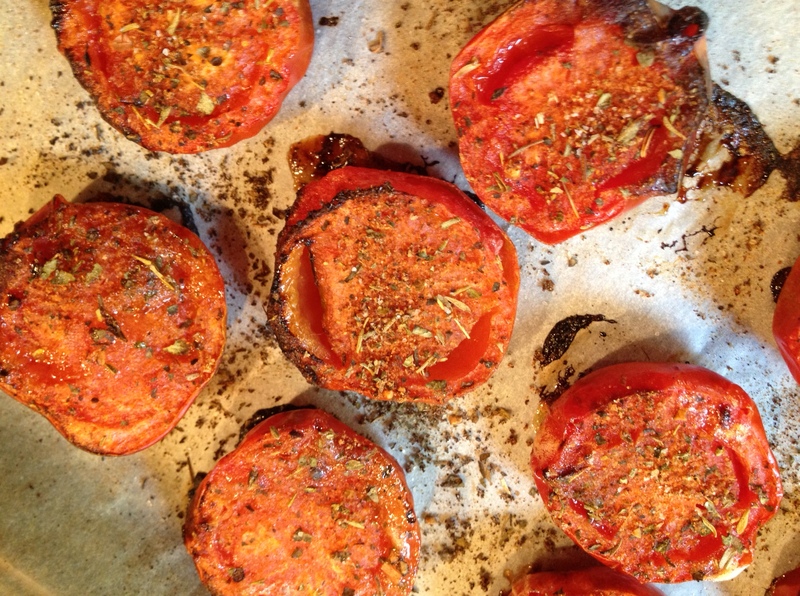 You can also omit garlic, or throw in a handful of chopped fresh herbs if you prefer. Gently pull the husks back and remove the silk from each ear. Crush your garlic and add to the butter. 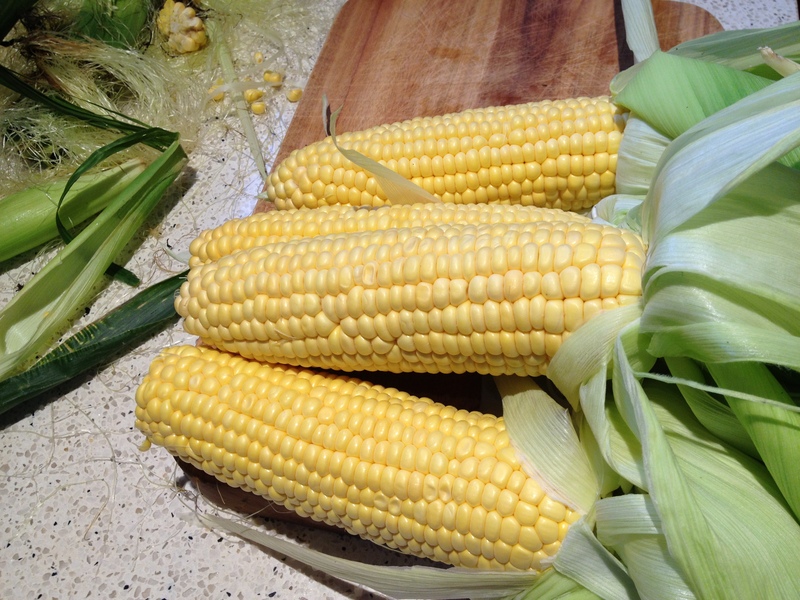 Then brush each ear of corn liberally and pull the husks back over the cob. Place on a hot grill, and turn occasionally. Cooking should take about ten minutes. 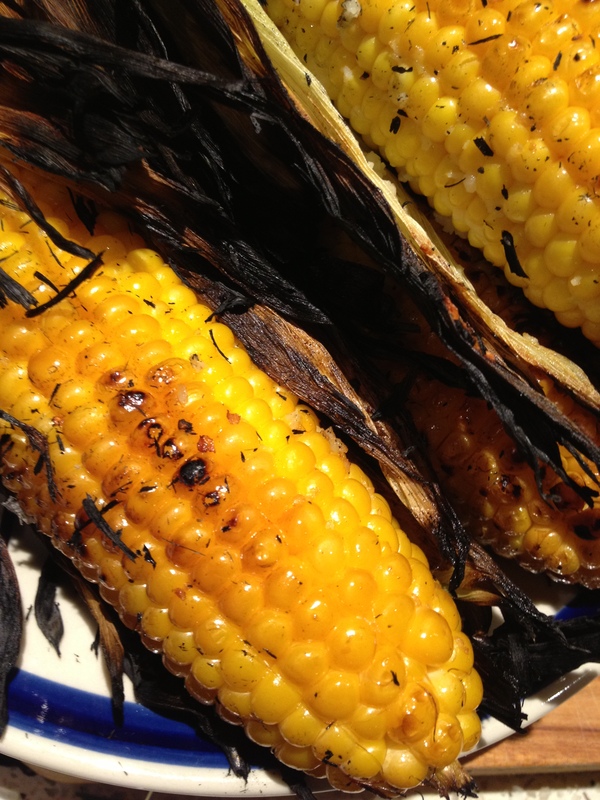 You’ll find that some of the corn gets a little charred, imparting a smoky sweetness. 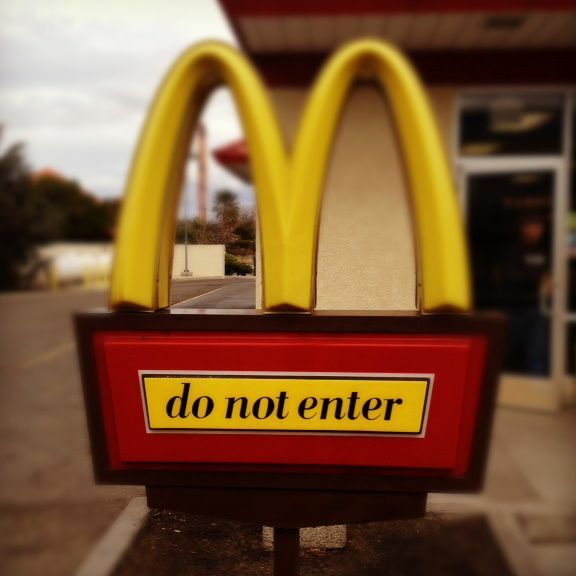 Trust me – that’s the most delicious bit! 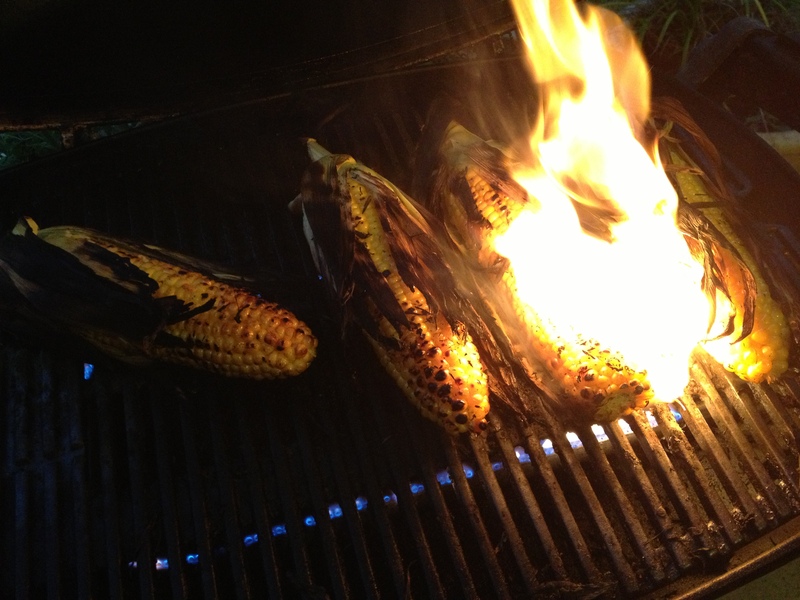 We had a little whoosh-ka moment at the end here, with a bright flash of flames as the now dried husks lit up momentarily when I lifted the lid on my barbecue. Don’t panic if that happens. It will last second or two, and you’ll end up with less husk to pull away. Carefully pull back or rip off the husks, brush off any remaining husk, add extra garlic butter and salt and pepper if you like, and then devour! Have you been following along with our Strengthening Intuition Program so far? 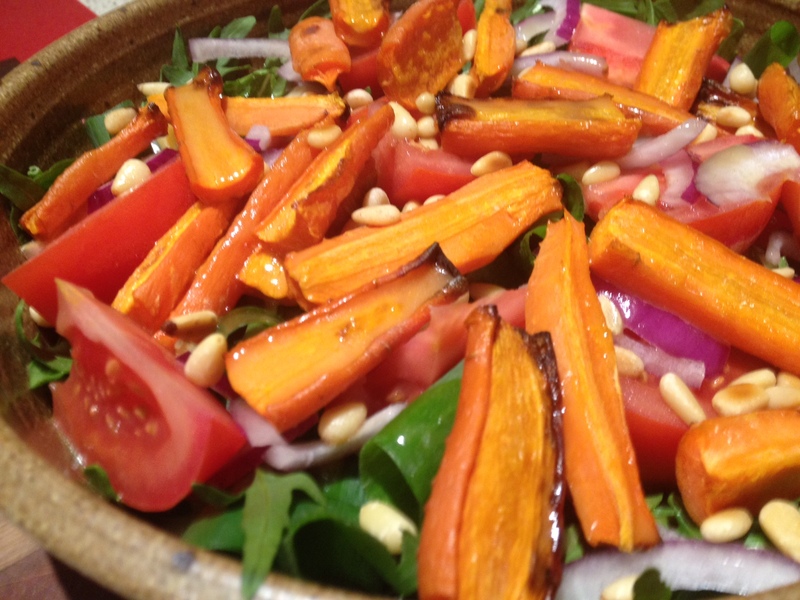 In today’s post I’m going to show you how to tune in to the energy of food. This is a fun and useful skill to have – it begins to connect you much more consciously to the world around you, and you can’t help but begin to make healthier food choices as your level of awareness around food’s energy grows. All food contains something called bio-photonic energy. Bio-photonic energy is captured within a living cell, as a result of exposure to the sun, and to the plant or animal’s connection with the earth. You could also consider it a form of life force that is within every living thing. When we eat food, the bio-photonic energy transfers from that food to our own bodies. 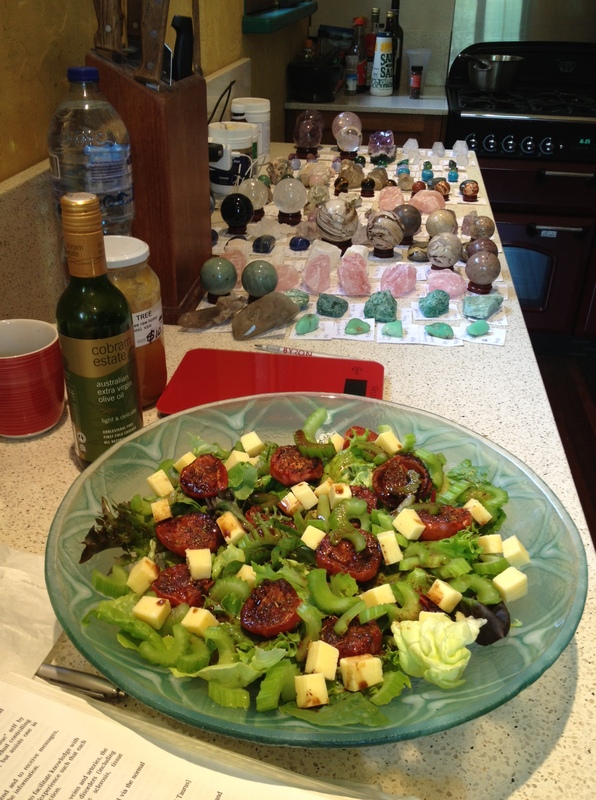 So the more bio-photonic energy we consume from fresh food, the healthier and more energised we become. Seems simple, huh? Today I’m going to show you how to develop an awareness of the energy in food. You could do this by taking yourself to a food market, or by using some of the produce and food stuffs you already have at home. Is the energy strong or weak? Can you feel any heat or cold? Is there any pattern of tingling or do you get any colours or images in your mind? How does this food make you FEEL? Pay attention to your emotions and physical sensations. Food with a high level of bio-photonic energy will feel ‘light’, strong, energised, make your hands warm or tingly, and create bright images, colours and sensations within your mind and body. 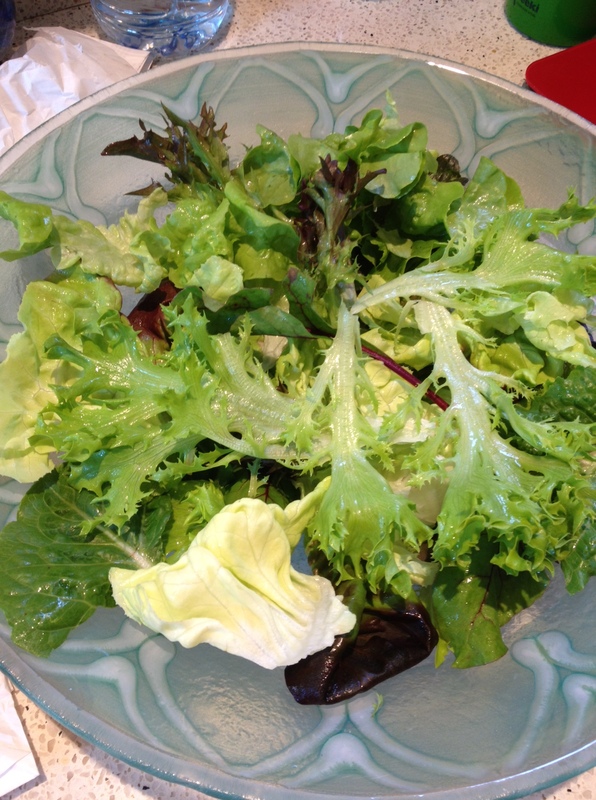 Food with little life force will feel ‘flat’, heavy, dead and will have weak energy. Or you won’t feel anything at all. Fresh food that has been irradiated or stored for a long time can often feel this way. It might look okay, but have very little energy at all. The colour most often generated in the mind when dealing with low energy food is grey. Food that is toxic in some way can often feel quite cold, or alarmingly hot. But the heat will never feel like a good thing – more like a flame you want to take your hand away from before you get burned. Move on now, and scan a range of different items. Do this quite rapidly, by running your hand over the top of the items, pausing briefly over each one – you’ll notice that it won’t take long before you become quicker at tuning in. 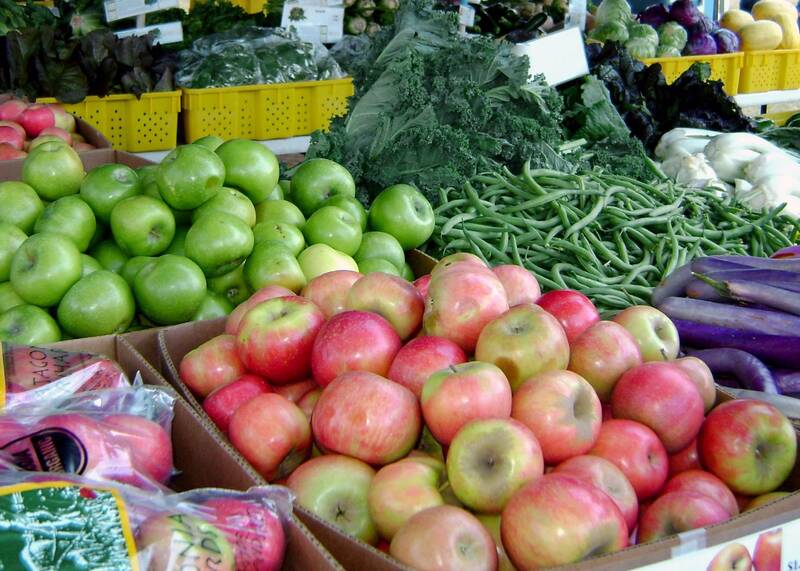 Then come back to some fresh fruits or vegetables where you have several of the one item. Feel the energy of each item to work out which has the strongest energy. Was that visually noticeable too, or can you only feel the difference through your hands? 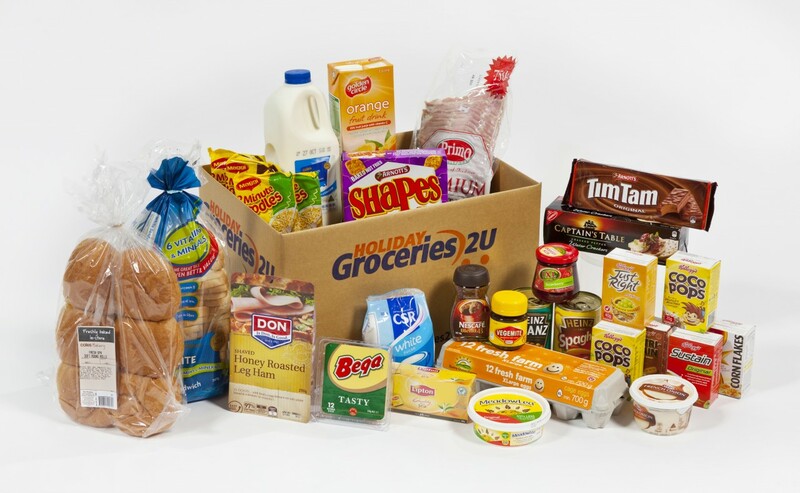 This week, experiment with sensing energy in food – using raw ingredients, packaged foods, beverages and even prepared meals. Stay open, and really allow yourself to have fun with this new level of awareness. Now that you can tune in to the energy of food, begin to choose foods for yourself and your family that have stronger energy and life force. The smallest changes to your eating habits will begin to have a positive effect on your overall health and well-being, and will also help you to become clearer and more energetically sensitive. I thoroughly recommend choosing foods that lift and support your energy. ‘Treat’ food is still okay, because you have to be able to enjoy life – but a basket full of vibrant fresh food is one of the best ways to begin feeling better, and that has to be a good thing! And don’t forget that today is your last day for being in the running to win one of my healing necklaces, hand-crafted especially for you – details here. 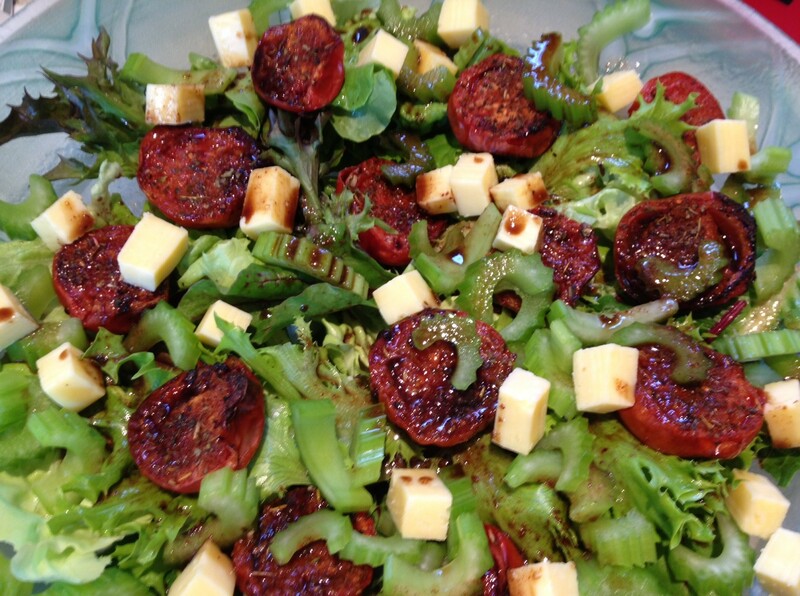 This is a delicious salad that can fill you up on its own, or that makes a beautiful side for other dishes. I’ve made this with baked carrots, but you could also use baked parsnip or sweet potato for equally tasty results. Chop the carrots into batons or wedges, coat lightly with olive or coconut oil and bake in a moderate oven for around 30 mins or until cooked to your liking. Toast the pinenuts in a dry frypan over medium heat for one to two minutes until they are light to golden brown. Watch them carefully as they can burn easily! 1/4 cup fresh lemon juice, 1/4 cup virgin cold pressed olive oil, generous pinch of salt, generous pinch of raw sugar, 1/4 teaspoon dried ground ginger or 1/2 teaspoon fresh grated ginger root. Place in jar, add lid and shake like crazy until emulsified. Taste and adjust seasoning if needed. Pour over salad just before serving. 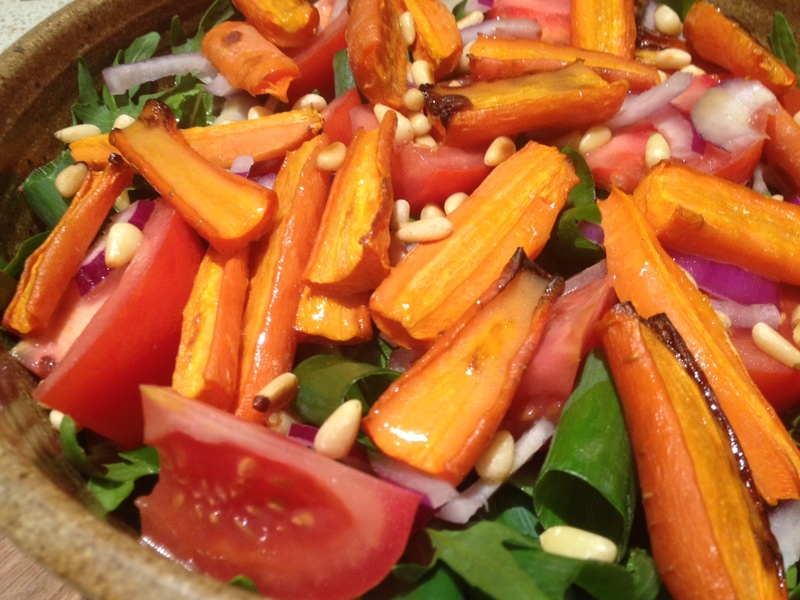 The salad can be served warm, with the carrots straight out of the oven, or as a cold dish once your baked vegetables have cooled. This transports really well for picnics and other adventures too. Enjoy! 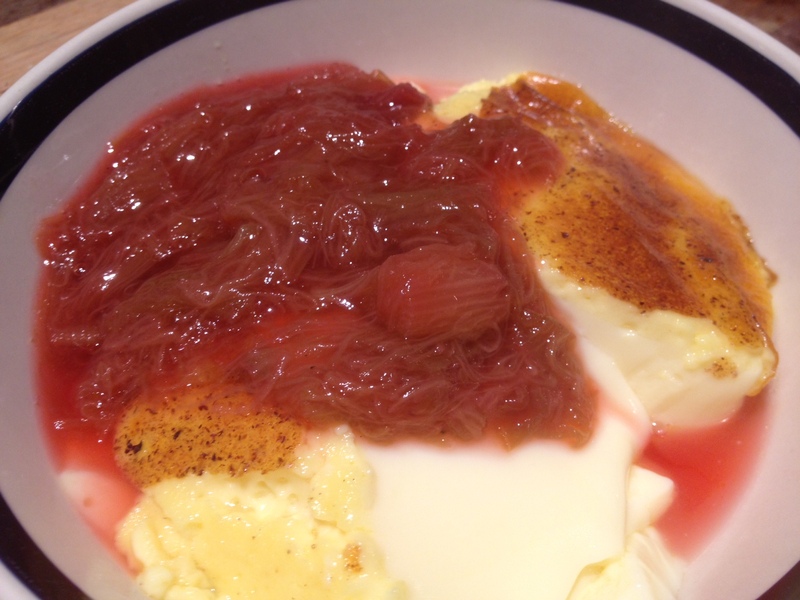 Stewed Rhubarb served with Baked Custard. Delish! 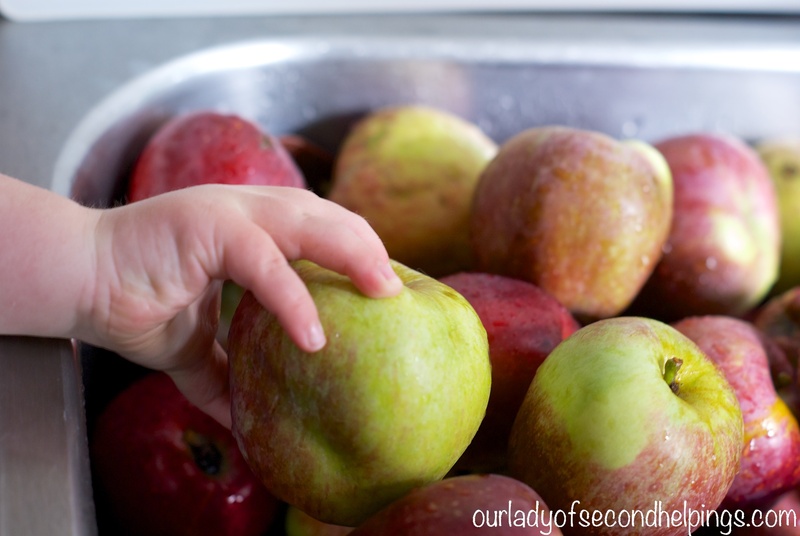 As much as I am grateful for gratitude (and my 30 Day Gratitude Challenge) I am also currently very grateful for rhubarb – and I don’t think I can last another 2 weeks without some sort of food post. 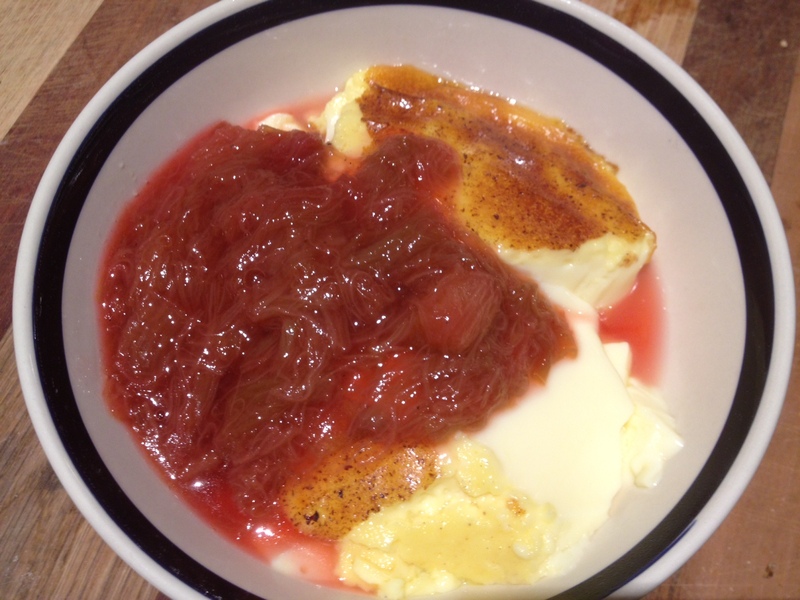 So here it is – Blissful Best Rhubarb! 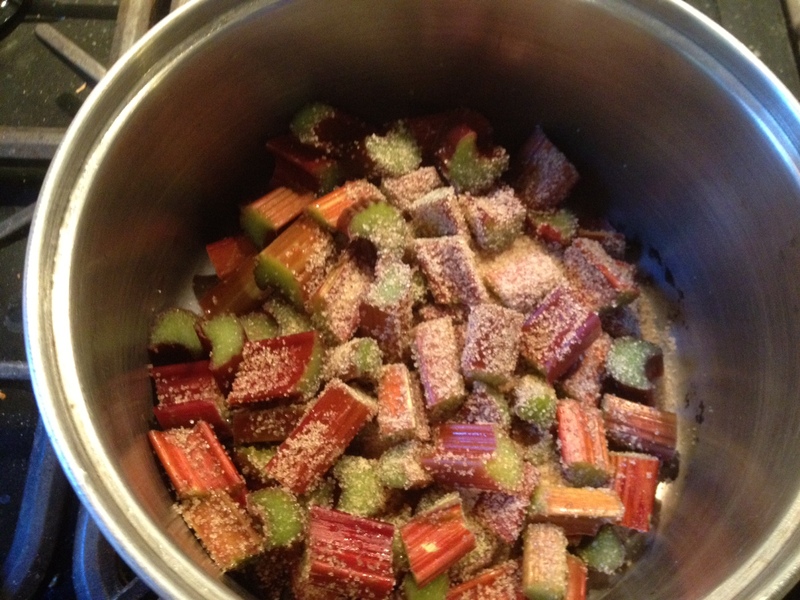 Method: Wash rhubarb stems and remove ends and leaves. 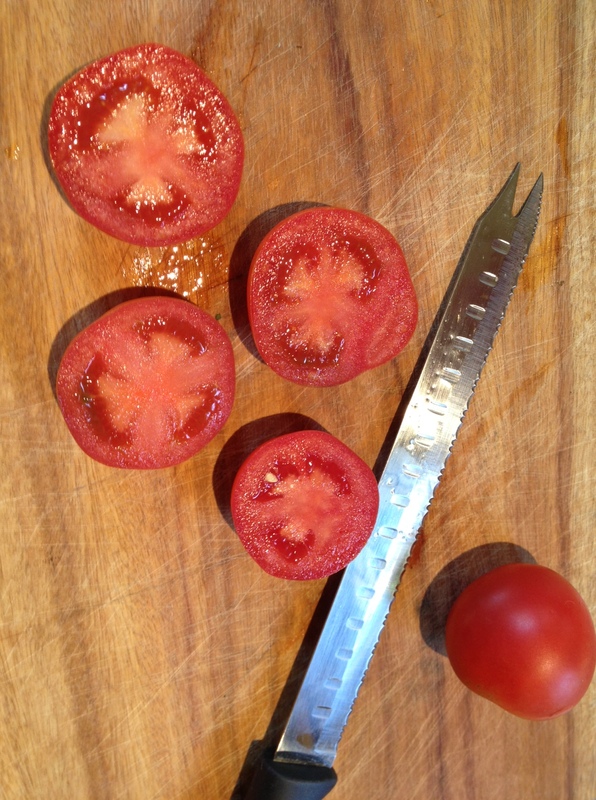 Cut into inch-long chunks. 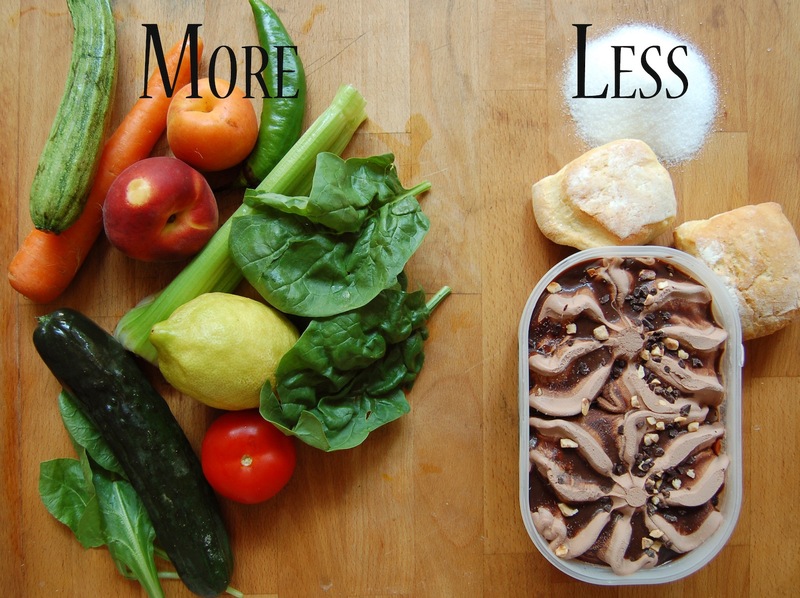 Weigh your finished amount. 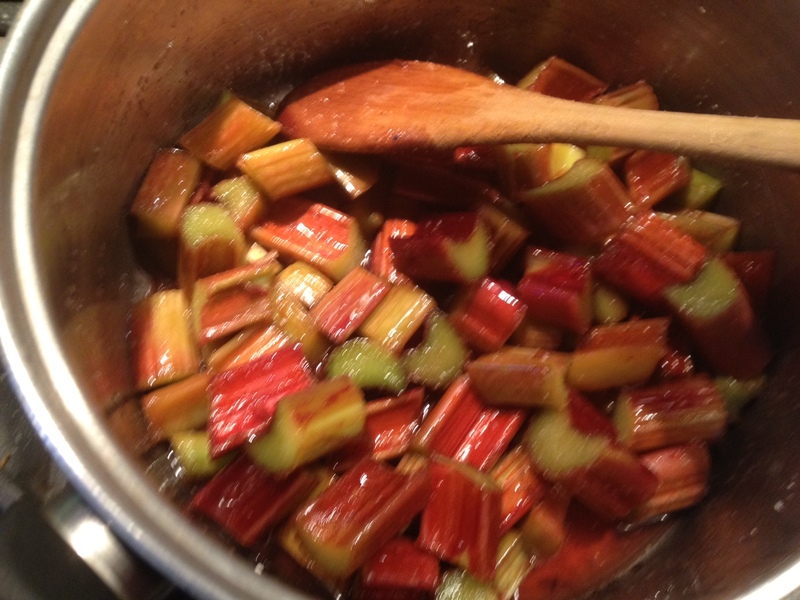 Throw rhubarb into a saucepan and add 20% of the weight of the rhubarb in raw sugar to the pot as well. Then add a sqeeze of fresh lemon. Now stir over low heat, and then cover. Remove lid and stir occasionally so it doesn’t stick – don’t have your heat up too high or it will! The rhubarb will cook down in its own juices, and that will take ten to fifteen minutes depending on how much you have, and how hot your pot is! Finish with another small squeeze of lemon. 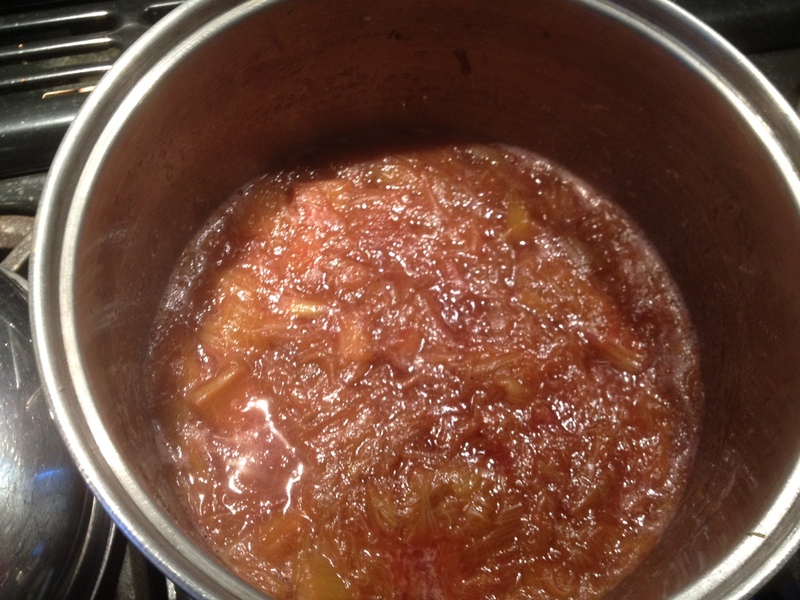 The rhubarb will now be soft, with a few large chunks left, and that lovely sweet/tart pink stringy goodness. 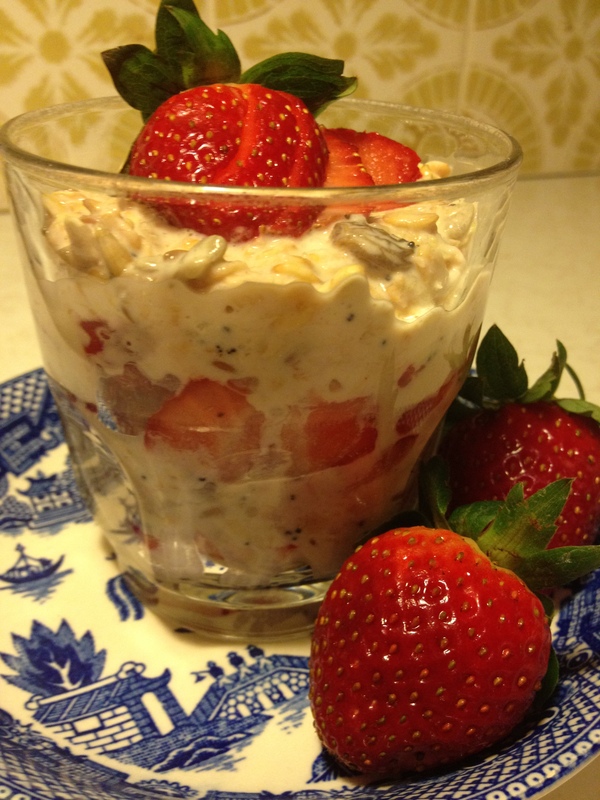 Serve with fresh cream, ice-cream or my favourite – baked custard. If you’re lucky enough to have left-overs this will brighten up any breakfast cereal and also goes well with yoghurt. Enjoy! I’m deep in a story right now. 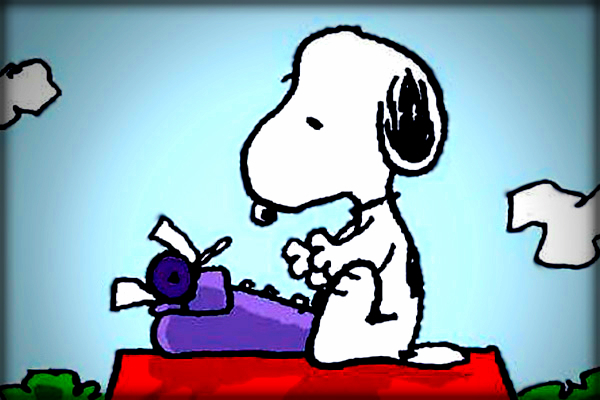 Whenever writing grabs me by the throat like this I forget to eat, it becomes too much bother to cook, and when I do suddenly remember that I’m hungry I want something I can eat fast. It’s like an illness, this kind of writing. I breathe story, dream story, bleed story. It’s all I can think about. Food? Yeah, when my stomach aches and grumbles I want to eat something that fills me up and nurtures me, but that also lets me get back to work again with a minimum of fuss. The answer to my problem is soup! My soup of choice today happens to be pumpkin. Why? 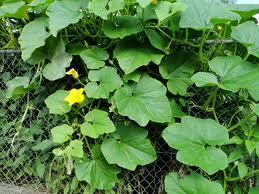 I have a triffid-like jap pumpkin vine taking over my vegetable garden. 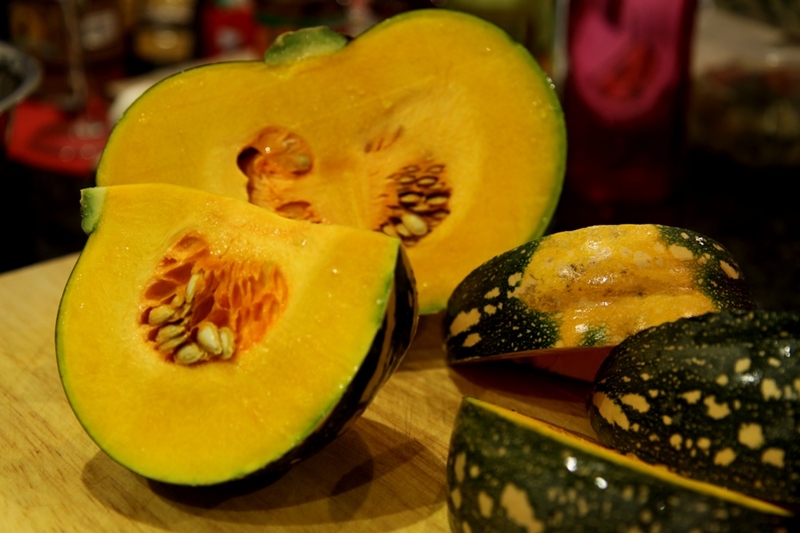 Jap pumpkin is sweet and buttery, easy to cut, and a great all-rounder in the kitchen. Once this writing frenzy subdues a little I might whip up a batch of pumpkin scones and share that recipe with you too. Of course I also got to leave my desk and wander up the hill to pick a pumpkin, and some shallots (green onions) for my soup. I already had garlic hanging in the laundry from summer’s harvest. Gardening is a very healthy and grounding pastime for writers! Vary the quantity to suit the size of your crowd, but for four hearty serves you’ll need half a jap pumpkin (about 4 to 6 cups of flesh – you can also use any other kind of pumpkin with good flavour), a large onion, two bay leaves, stock (at least two cups, or a quality stock powder and some water – if I have none of my own stock in the freezer I use Massel brand chicken style stock – great flavour and it’s 100% vegan!) 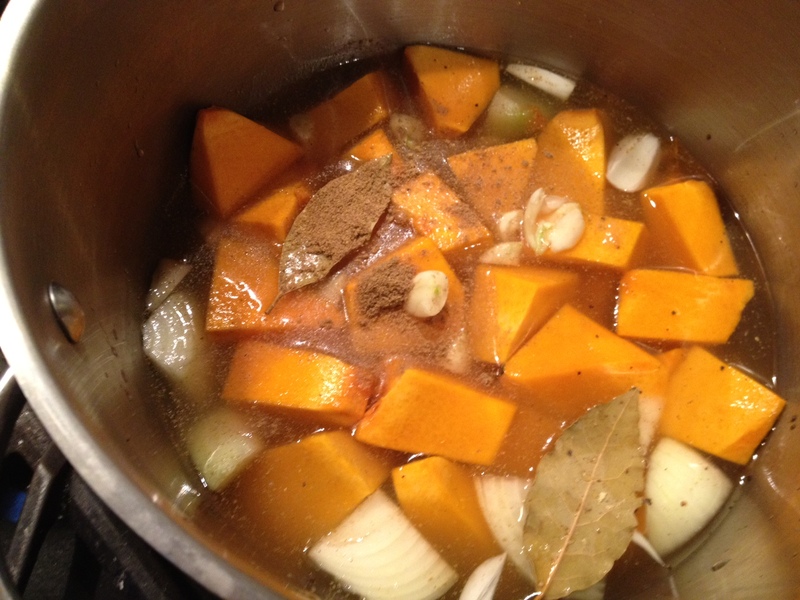 3 cloves of garlic, salt and pepper to season, 1/4 to 1/2 teaspoon of ground cumin, 1 teaspoon of honey. To serve you’ll also need some good bread for toast, some plain yoghurt or sour cream (if you’re vegan or dairy-free try coconut yoghurt! ), and some fresh herbs such as green onion, chives, coriander (cilantro) or parsley. Take a large saucepan. Peel and chop your onion and garlic roughly. 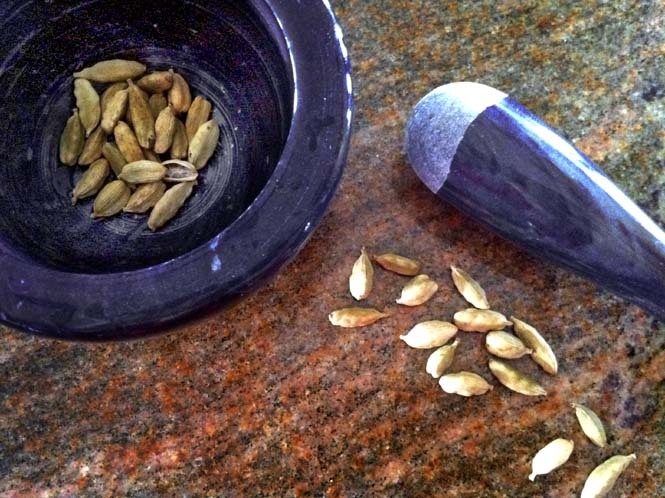 Then skin and de-seed your pumpkin and chop into chunks. Dump into the saucepan with the onion and garlic. Barely cover with stock, or a good stock powder and water. Season with some salt and pepper, and add in the cumin and bay leaves. Bring to boil and then reduce heat, cover with a lid and simmer for twenty minutes. Take off the heat, and allow to cool a little. 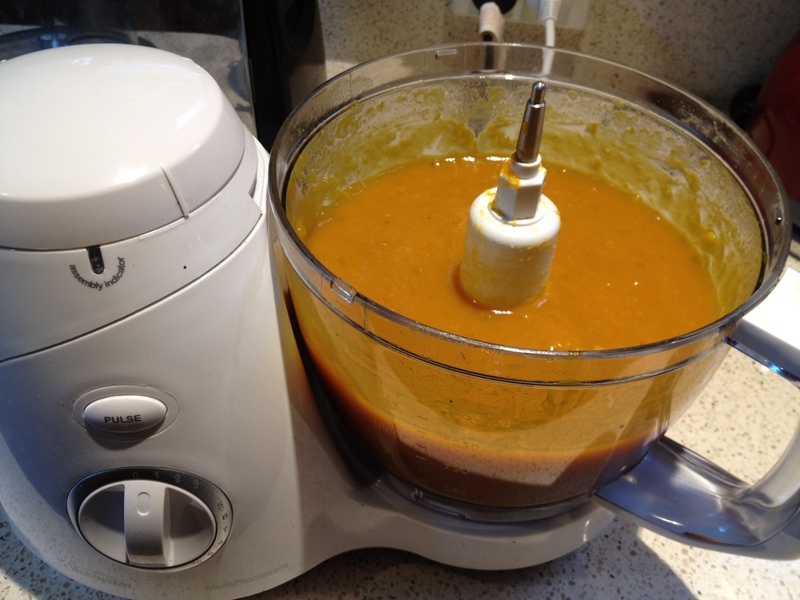 If you have a stick blender you can puree the soup directly in the pot. 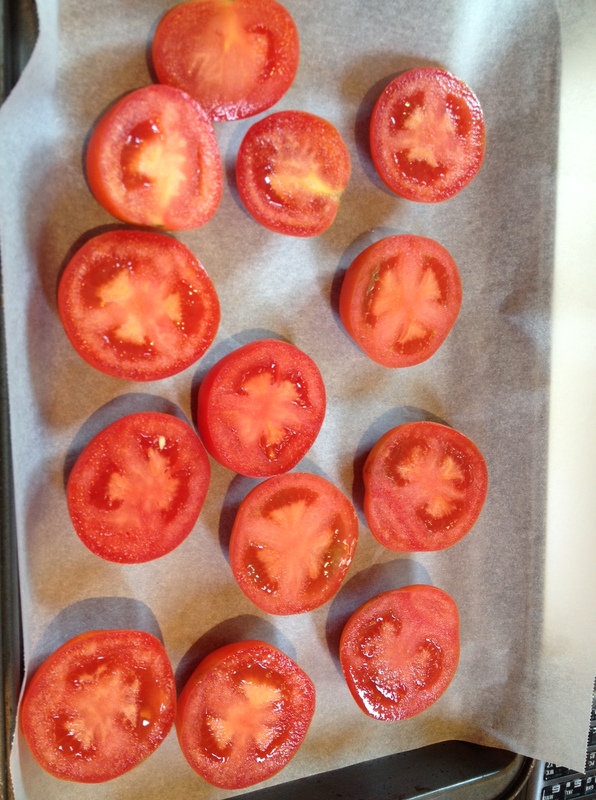 Otherwise transfer to a food processor or blender and process until smooth. Return to a saucepan to reheat. Test seasoning, and adjust if required, adding honey if necessary. I love this recipe. 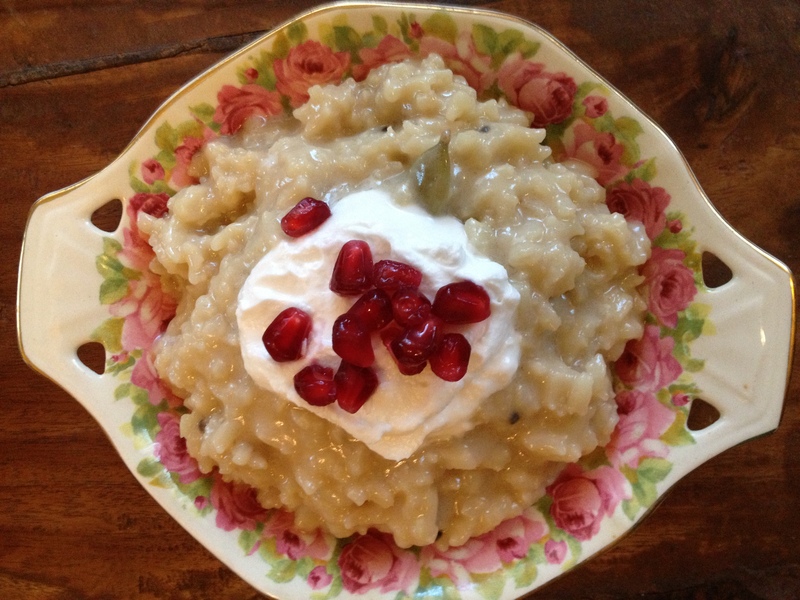 You can make it in five minutes flat, and it works as a breakfast, lunch or dinner solution! If you’re a vegan you can omit the cheese, or use a cheese substitute. 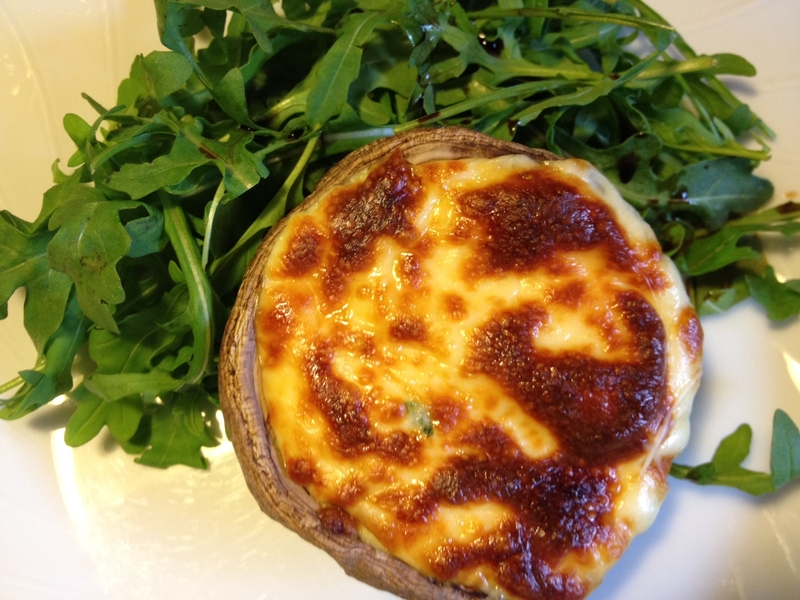 It’s also a great gluten and carb free alternative to pizza, but tastes every bit as good. 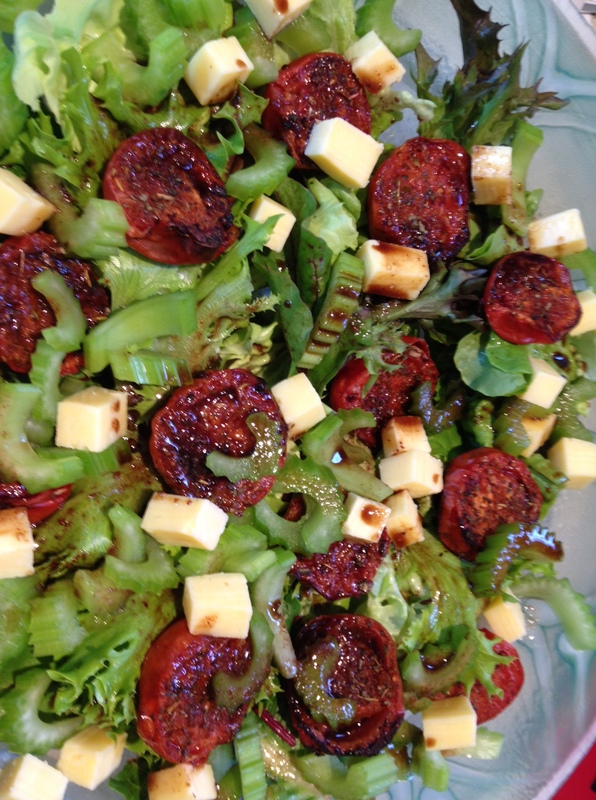 Fresh herbs well chopped – parsley, oregano, chives, thyme and basil all work well. Use dried if you don’t have any fresh herbs to hand. I haven’t given specific quantities because you’ll need to vary this depending on how many people you’re feeding, how big your mushrooms are and the size of your appetite. As you can see from the picture below, my mushrooms are enormous so one will be plenty per person. 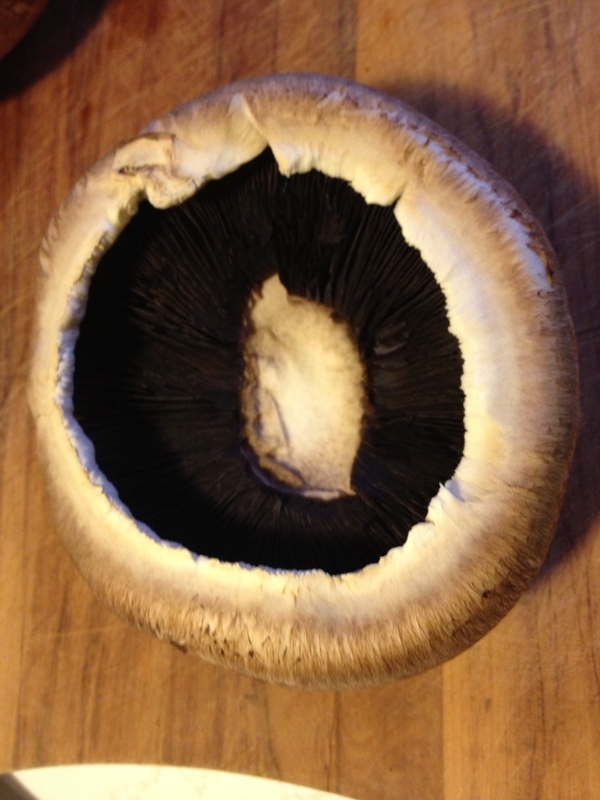 Pull the stalk out of the mushrooms by giving it a gentle twist with your fingers. Trim up any loose bits to give you a reasonable area to stuff. 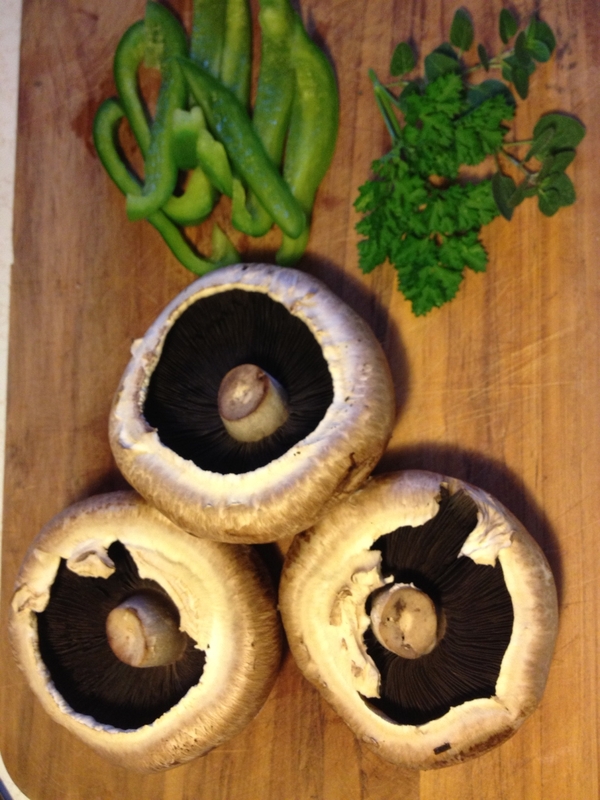 There is no need to peel the mushrooms, but wipe them over with a damp cloth or paper towel if they need it. 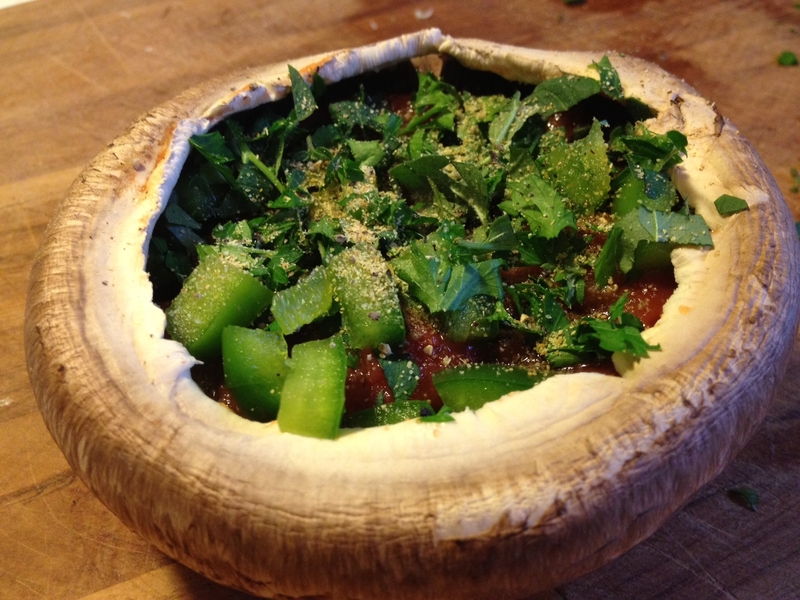 Now spoon some tomato paste/diced tomato/salsa etc into the bottom of the mushroom cup and spread it around with a spoon. 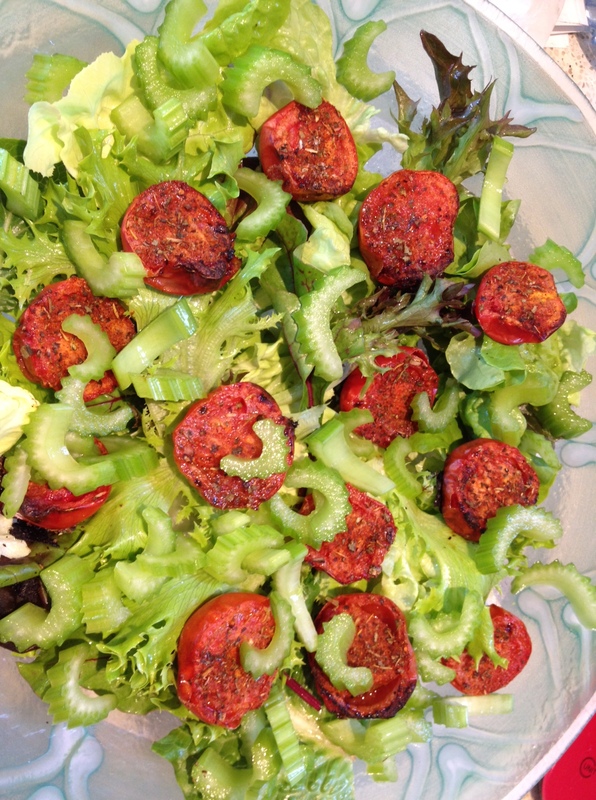 Add in some of the capsicum (bell pepper) and a generous sprinkle of fresh herbs. 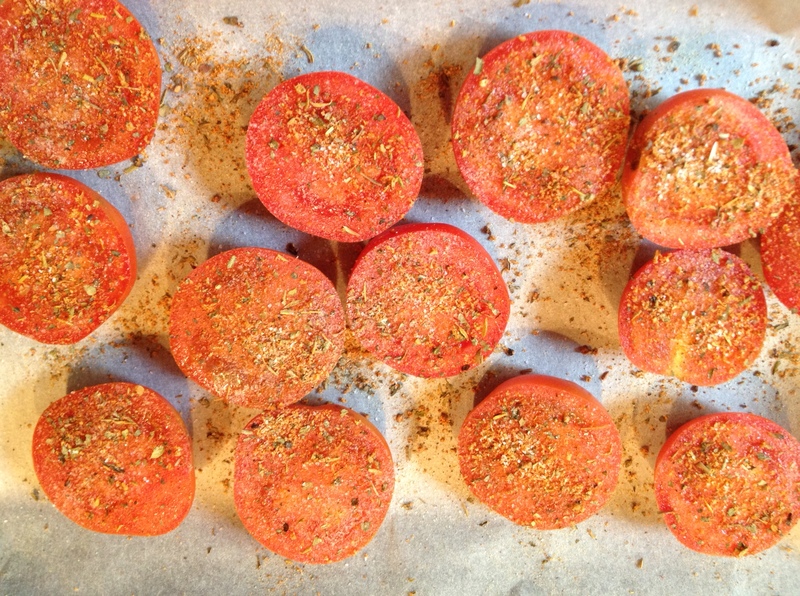 Crush on some fresh garlic or sprinkle on some garlic powder, then season with salt and pepper. Make as many as you need. 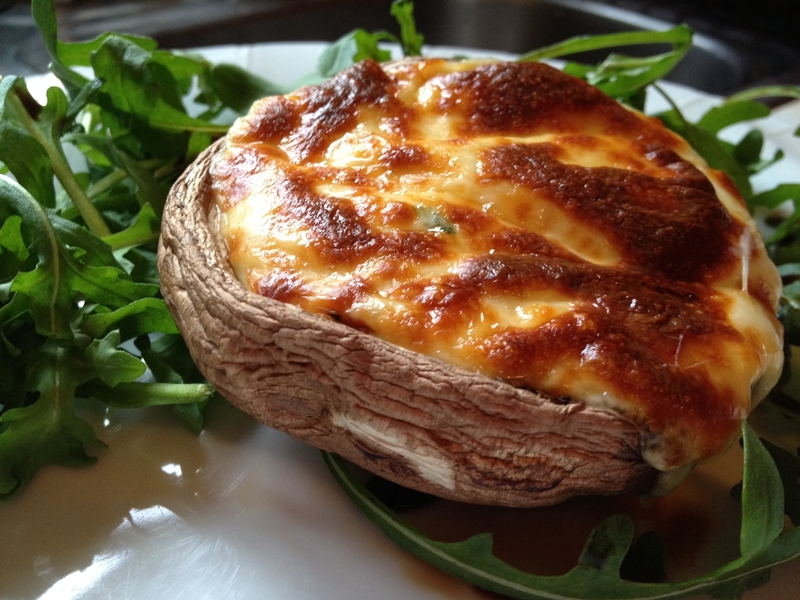 Place the mushrooms under a hot grill, or on a tray in a good hot oven. 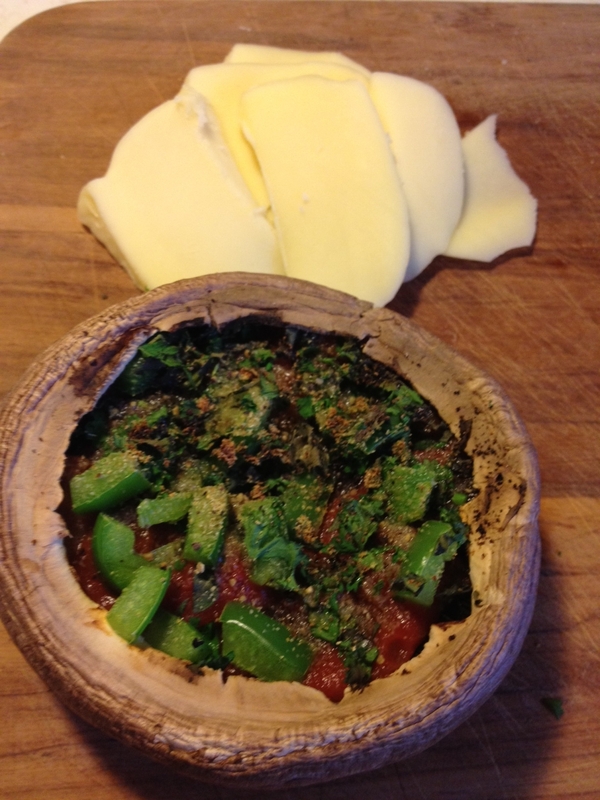 Allow to heat for a few minutes to warm the mushrooms and filling through. 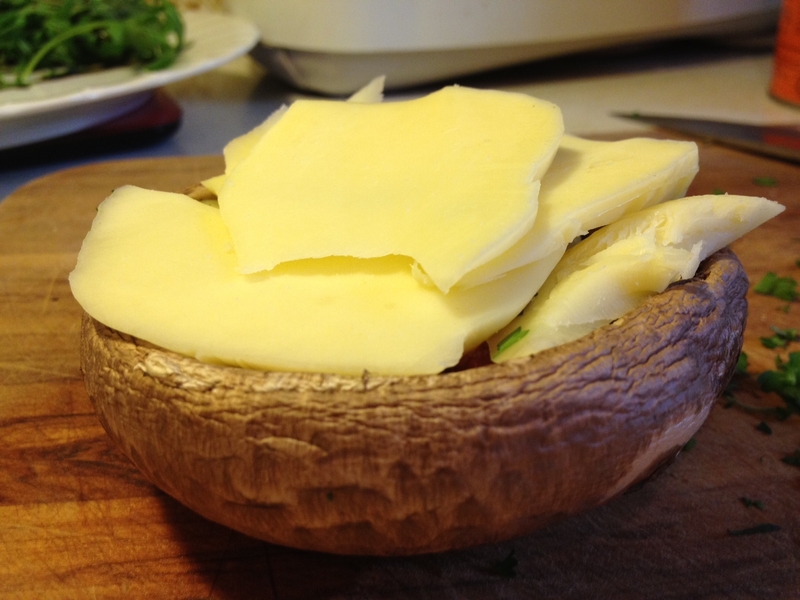 Now place some sliced cheese onto your warmed-through mushrooms. Return to grill or oven until the cheese is melted and nicely browned.